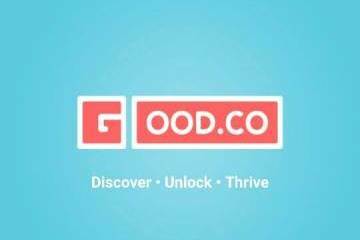 If you want to find out your workplace personality type, and discover essential career and lifestyle advice that can be useful when you need to make decisions for the advancement of your career, then you should check out Good.Co. 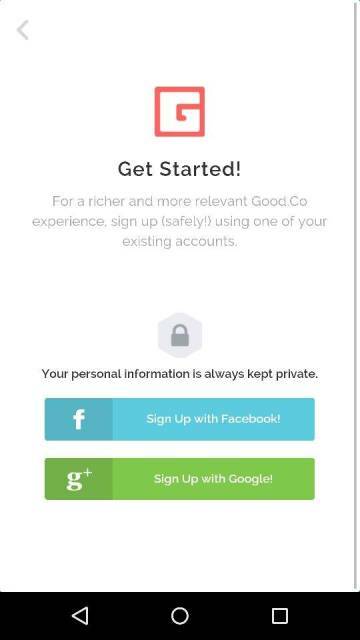 Good.Co is an Android app (which also has its own website) that you can easily download from the Android Play store. Upon installation, it will only take you a couple of minutes to fill out your profile and get started. It is recommended that you link a social network account like your Facebook or Google+ account so you can have a more relevant experience with the app. Moreover, connecting it on your social network account lets you easily share things that may be useful for your friends too. 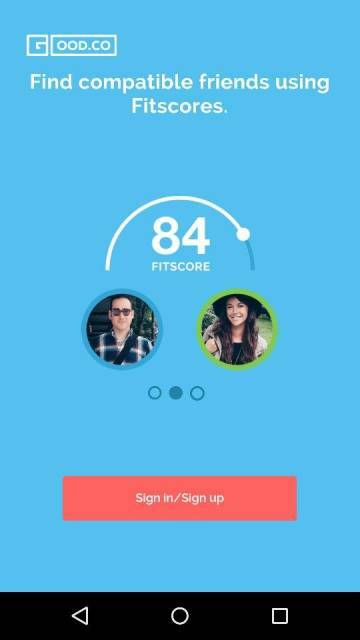 In return, you can also find important advice that your friends may share when they make use of this app. After filling out your profile, you will immediately be required to answer a series of questions that can instantly determine your workplace personality type. 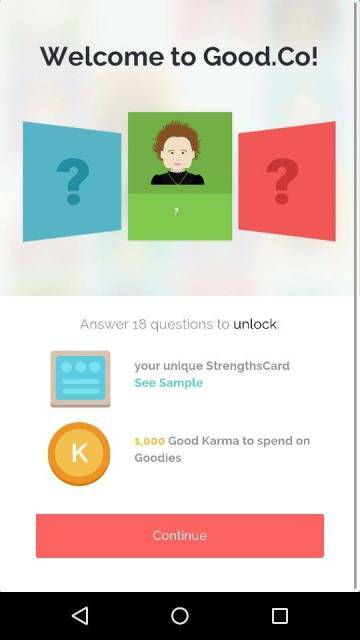 There will be 18 questions that you initially have to answer to unlock your StrengthsCard. 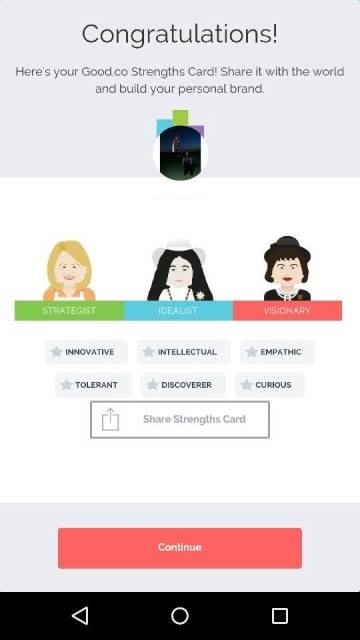 Your StrengthsCard will pinpoint your strengths in the workplace, which you should take advantage of so you can easily go up the corporate ladder. The series of questions is in a survey form where you simply need to move a slider to input your answer. Keep in mind that since the app tries to determine your workplace personality type, you should be as honest as possible. Also, there are no right or wrong answers, only your true answers matter so that the result will be as genuine as possible and can be very helpful in making career decisions. 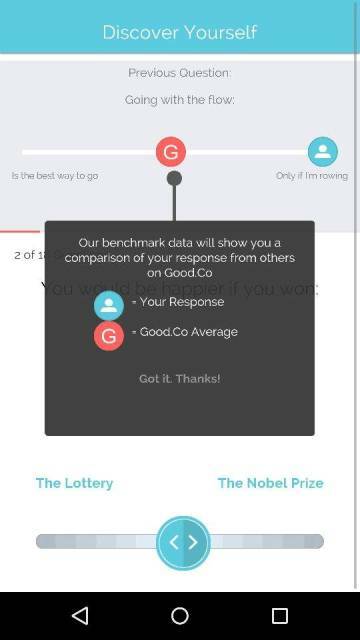 Although Good.Co will show what most users have answered, it does not mean that your answers are wrong. 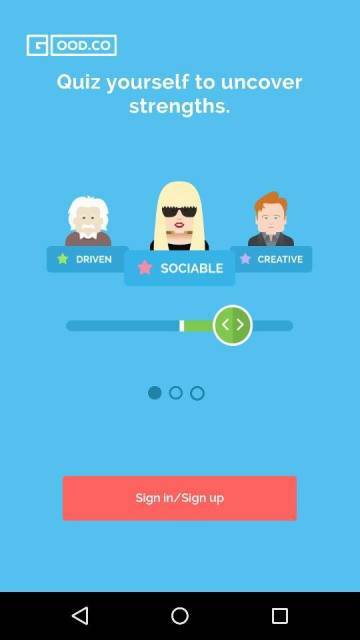 At the end of answering the questionnaire, the output will shout your workplace personality type personality. When we answered the questionnaire, it showed that we were a strategist, an idealist, and a visionary. Our strengths were being innovative, intellectual, emphatic, tolerant, discover, and curious. Thus, it somewhat says that a work in research and development suits us. Using the output of the initial questionnaire, you can make proper choices where you can perform best at work. Furthermore, you can use this to build your personal brand. After the first quiz, you will unlock more quizzes that you can answer to evaluate your workplace personality type further. The next quizzes tend to be more specific than before, which is good since they appear to be more tailored to your needs of self-discovery for your career. Some of these quizzes include finding out how you socialize with other people in the workplace, what is your organization and thinking styles, and what type of team will you perform best. 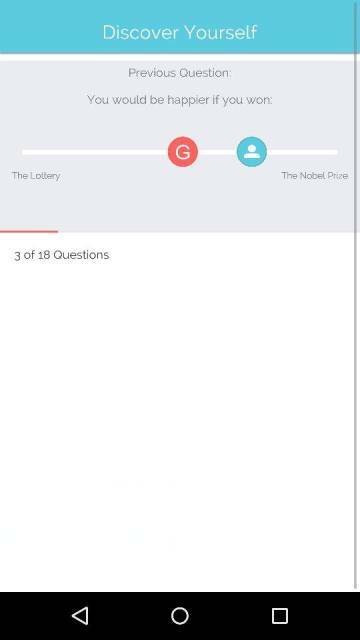 There are more quizzes that appear as you continue to answers other quizzes. Aside from merely answering quizzes and determining your workplace personality type, Good.Co can also help you find the job that suits you best. 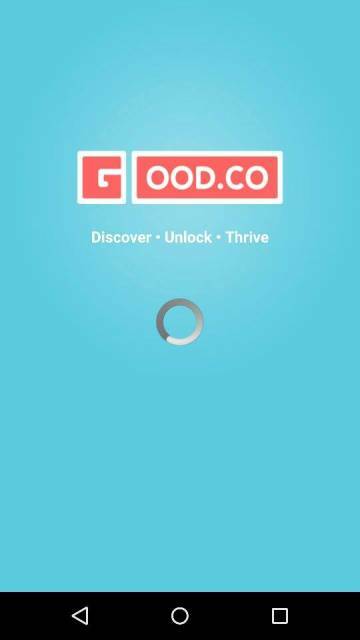 If you are still undecided what job you should be in or if you having a hard time figuring out what you want to do in your career then better check with Good.Co quick!